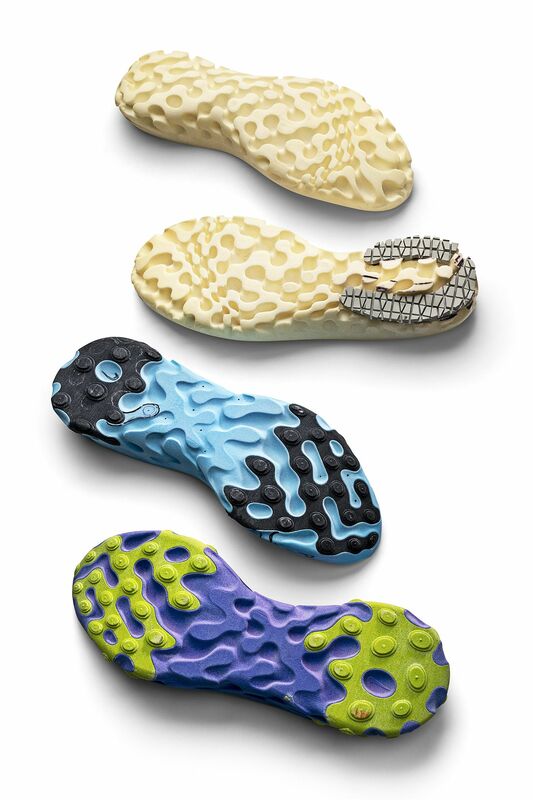 The pressure maps not only informed how the shoe would feel but also how it now looks. 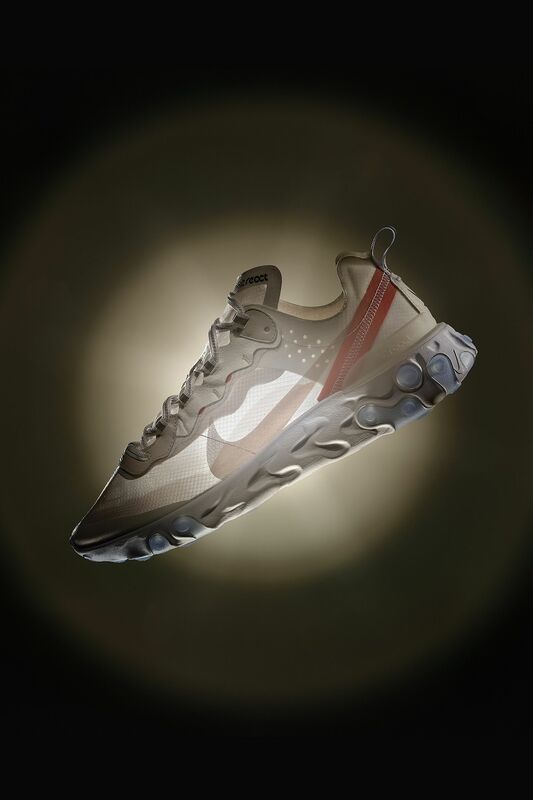 The wave-like arcs simply looked cool. 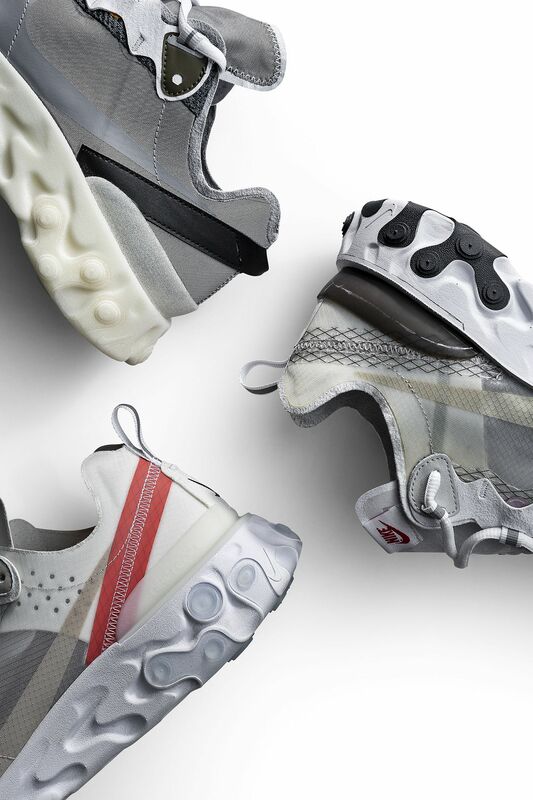 Nike Sportswear Innovation Designer, Darryl Matthews, used them to create an algorithmic pattern that could be applied to the outsole, using a curvy deboss that communicates movement. 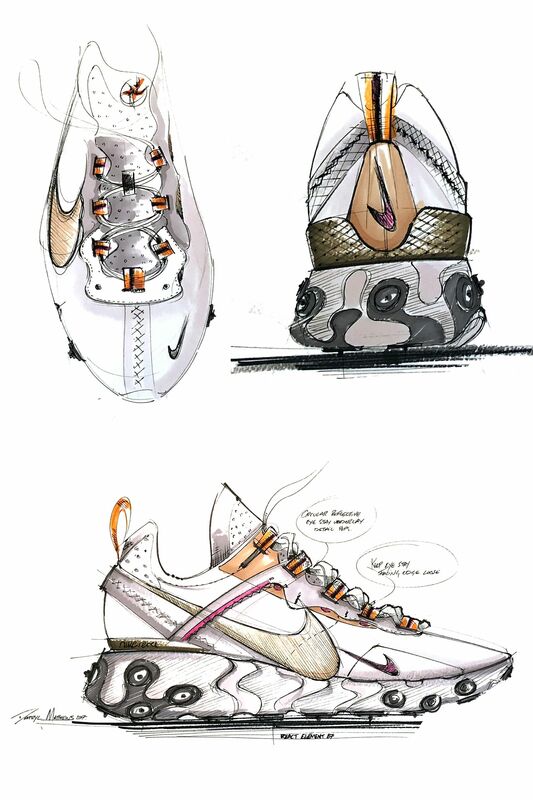 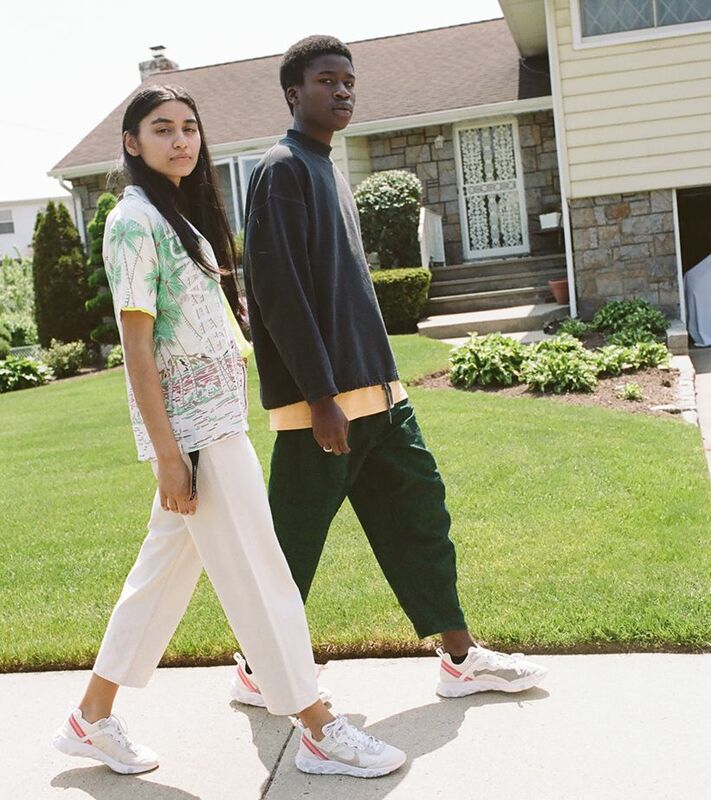 When it came to the shoe’s shape and materials, Matthews found inspiration in the original 1983 Nike Internationalist (the tongue, toe, and heel clip) and the translucent textile and asymmetrical tongue of last year’s Zoom Fly SP upper. 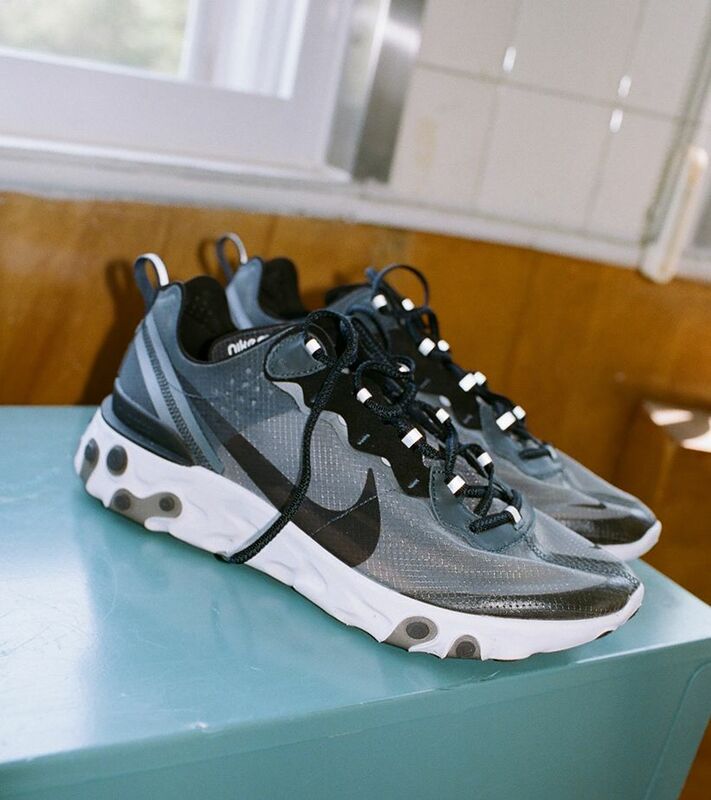 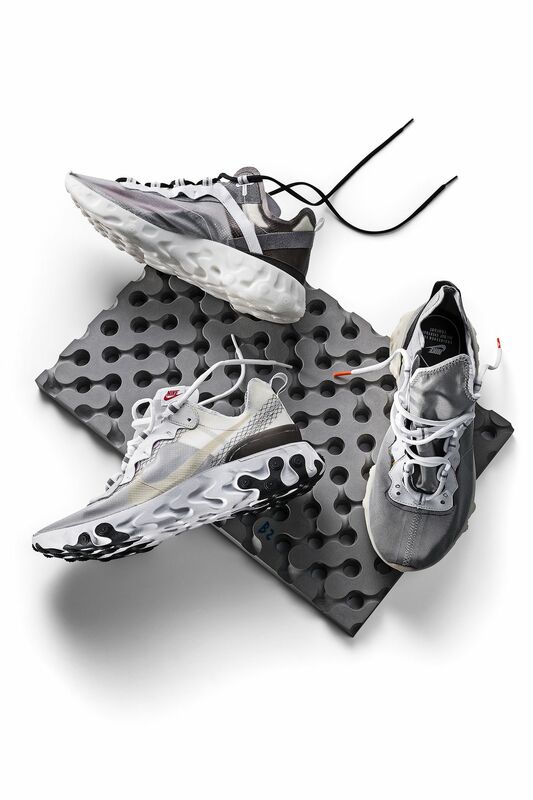 Combined with suede accents, the Nike React logo, and rubber outsole pods, the shoe represents a powerful, performance-focused intersection of old and new.